Saint Paul wrote, “Where sin abounds, grace abounds all the more” (Romans 5:20). What does this tell us about God’s reaction to the increase of sin that’s happening all around us? Evil has infiltrated more deeply than we imagined a decade ago. Even good people have been corrupted by the satanic agenda of embracing immorality as good and the belief that good is evil. Hatred is spewed at Christians. Violence is easily triggered. Therefore, we can expect miracles of grace. Here’s a scripture-based treatise on how the miraculous outpouring of God’s abundant grace will happen (and in some places has already begun to happen). Every follower of Jesus is meant to experience a personal Pentecost, the in-filling and over-flowing life of the Holy Spirit. This is why Jesus came. He’s not just a John 3:16 type of Savior, dying for our sins so we can have eternal life in heaven. He is also a Luke 3:16 type of Savior. Jesus not only wants to redeem us from sin. He goes the extra mile for us. He gives us his Holy Spirit to help us be holy. He wants to fill every one of his followers with the Spirit of the life and fire of God. In fact, his heart’s desire is for the whole world to be set on fire with God’s Holy Spirit. This life in the Spirit is meant to endure for the rest of our lives. God renews his followers repeatedly and often — if we pray and ask for renewal. In scripture, we see the disciples being filled with the Spirit anew, again and again, long after Pentecost. The Holy Spirit comes in waves, like the waves of the ocean. The ocean’s waves are full of currents. Cardinal Leo Joseph Suenens (1904-1996) studied what was happening in the Catholic Charismatic Renewal and noted that it is a “current of grace for the Church and for the world”. Pope Francis recently added to this, announcing that it is a “current of grace in the Church for the Church and for the world”. Because of the condition of our world today, isn’t it more important than ever for this grace to become commonplace in the Church? Cardinal Suenens said that, sooner or later, this current of grace will disappear, because when the grace of the Holy Spirit has fully entered the Church, all the Church will be Charismatic. The Charismatic Renewal won’t be a separate entity. We are Currents of Grace: this is our identity as Spirit-filled Catholics. With this comes responsibility. We are called to bring this grace into the Church. The year 2017 marks the 50th year of the Catholic Charismatic Renewal — a Jubilee year. To plan for the Jubilee, international leaders gathered in Rome to seek the Holy Spirit’s words and guidance. As reported by Michelle Moran, President of the International Catholic Charismatic Renewal Service in the Vatican, one man arrived late for a meeting, so rather than interrupt the discussion, he headed to the chapel. The door was locked, so he sat down to pray near the door. A few minutes into his prayer, he heard a clicking noise. The door opened. Thinking someone inside had opened it to let people in, he entered and looked for that person, but no one was there! Wow! This sounds like something out of the book of Acts. We are now in a season when the current of grace in the Church for the Church for the world is opening doors for new opportunities in evangelization. But note that a door is not a current of grace. 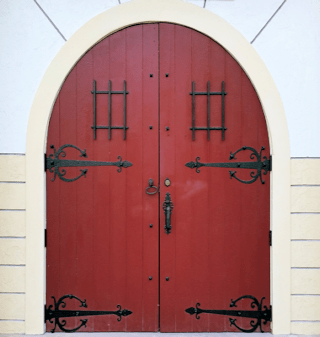 An open door is an invitation: “Are you going to walk through it?” We don’t know how long the door will be open. Do we want to hear the Lord ask, “Why did you hesitate?” God wants us to move mightily in the grace of the season. But what is the power of grace as provided by the Holy Spirit? We call them charisms (gifts) of the Spirit. Have you attended a prayer meeting or conference or church that exhibits few manifestations of the Spirit? The Lord is still pouring out the gifts of the Spirit like in the early days of the Church. We need to enter into prayer for a renewal of the manifestations of the Holy Spirit with expectancy. We need to be ready to move when the Lord moves us. The supernatural gifts of the Spirit are not reserved just for a few saints and Charismatic superstars; it’s for all. When was the last time you avoided the side effects of medicine by blessing it in the name of Jesus? When was the last time you served as a channel of God’s grace by laying hands on the sick and they were healed? Sadly, we are ill-equipped to live so full of faith, and for way too long. It’s time we all call upon the anointing of the Holy Spirit and dive into the current of grace that God wants to flood the world with. Pope Benedict said (2006), “The merit of the Catholic Charismatic Renewal is in reminding the Church of the reality of the gifts and the charisms of the Holy Spirit.” How can Charismatics do this if we act like everyone else in church? A Jubilee Year is always a time of renewal. It’s the beginning of moving forward. It’s resting in the Lord; it’s the Sabbath of all Sabbaths. It’s the restoration of freedom and generosity (as in Leviticus 25:8-22). Jubilee is the celebration of God’s victories. The Israelites partied for days whenever God rescued them. Every Mass should be a celebration that really looks like a celebration so that others will want to join us. Charismatic prayer meetings should be parties proclaiming God’s goodness. Our prayer lives at home should include rejoicing, proclaiming, and testifying to God’s goodness so that others will hear us and desire the joy that they see in us. The charisms of the Holy Spirit that are typical of the Charismatic Renewal (visions, prophetic exhortations, speaking in tongues, etc.) are not for our personal entertainment. They are for the building up of all members of the Body of Christ because we need, now more than ever, to go out and change the world for Christ. In 2016, Pope Francis told a group of five leaders in the Catholic Charismatic Renewal, during a private meeting, that we’re living in a special moment of the Holy Spirit. Michelle Moran, who was present, reported during the U.S. Jubilee conference in July 2017, how he emphasized that we’re living in a time when we see the Holy Spirit doing things we could never have imagined. Then he added, “And I need your help.” He wasn’t asking for the help of five people. He was asking for the help of all who understand what it is to live the Spirit-filled, Spirit-led life, because this is what it takes for effective evangelization. To be the missionaries that the Gospel calls us to be, we must move in the charisms of the Holy Spirit so that the world can know that Jesus Christ is Lord. Where do miracles happen most often? In missionary work! Do you have a testimony of this? Please share your story of how the Holy Spirit has manifested God’s power in your life or in something you witnessed, in the comments section below. Good News Ministries has many missionaries: Team members who volunteer their time are missionaries, because they are doing the mission of Christ. Our benefactors are missionary investors. And here are a few easy ways that anyone can be a Good News Missionary: gnm.org/about-us/about-how-to-be-missionary/. If you don’t yet have a personal relationship with the Holy Spirit and the joy-filled, lively faith that God wants to give you, pray every day: “Come Holy Spirit, fill me. Come Holy Spirit, renew me. 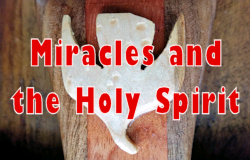 Come Holy Spirit, you have my permission to change me.” And help yourself to the three courses about the Holy Spirit that we offer on our website in our Paracletia ministry. Pope Francis has asked of us (June 3, 2017): “Share with all in the Church the Baptism in the Holy Spirit.” Note the word “all”. He did not say, “Share it with anyone who seems interested.” He said “all” – because it is vitally necessary. Scripture proves it. Watch this short video about the scriptural basis of sowings seeds everywhere, to all.